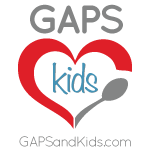 This post is the fruit of many conversations with friends about GAPS. Just little tidbits of things I've learned and strive to keep in mind as I journey. These are tips for myself more than anyone, but I hope it is helpful to you. •The quickest way to quit something is to simply eliminate it. Having it stare you down from the pantry every time you go in there is much more difficult that simply giving it away and moving forward. Eliminating the option to cheat is easier than leaving the rules vague. •The quickest way to get started with something is to set a date and start regardless of whether you are ready or not. Pick a day, do it. •The four meal pillars I always have in mind are: broth, fat, protein, veggie. The latter two are the most expensive. Keep that in mind. And don't forget your ferments! •Detoxing wastes minerals. Lots and lots of minerals. Consume gobs of broth. Consume as much as you can make and tolerate. Don't be afraid to fill capsules with salt. Soak in salt, and salt everything you eat heavily. We do not realize how much salt we consume when we eat SAD food, because it is covered up with gobs of sugar. I find that people switch to real food and slack on salt. Salt is good! real salt has minerals. We do not realize how little salt we can end up using when we make things from scratch and only and always add salt at the end. •Butter is your friend (if you tolerate it.) Top everything with butter. The only thing better than butter for everything is bacon. Mmm... bacon. •No one says you have to make meals at normal times. •Detox baths rock. Yes, they are kinda boring, but don't do GAPS without them. They have resurrected me from being a jittery zombie to feeling like a human being again. •Nuts and fruit are beautiful things, and you can save hundreds of recipes that utilize them, but ultimately, they are nutrient poor expensive treats. •Most people are deficient in Magnesium. It seems that deficiency is made more apparent when bread is removed and detoxing is had. Magnesium oil is your friend if you are ready for it. •I still can't believe that I'm more energetic, have better body temp, and more satisfied without bread and starchy foods. So many walls have knocked me down and convinced me I just didn't do well without huge amounts of sugars and carbs, but the more I've healed, the more fat I can eat, and the less I feel dependent on starches. No, it wasn't a quick change. I'm still kinda in shock really. •And GAPS Intro. It's not so scary or terrible. Of course, it can be. But what will you find on the other side? • This info-graphic for guiding you through intro is fantastic. Put it on your fridge. •Did I mention fat? It's delicious.